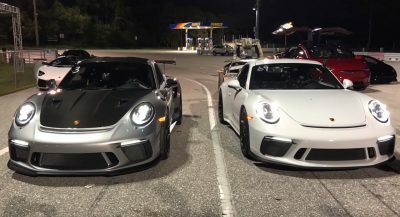 “Who wants to be just like everyone else?” sounds like something your parents told you when you didn’t get picked to be on a team you wanted in elementary school. 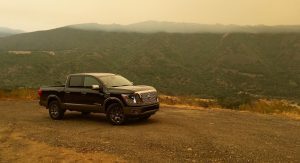 For years, the Nissan Titan was probably told the same thing as it watched American pickup truck buyers flock to domestic-branded models instead. 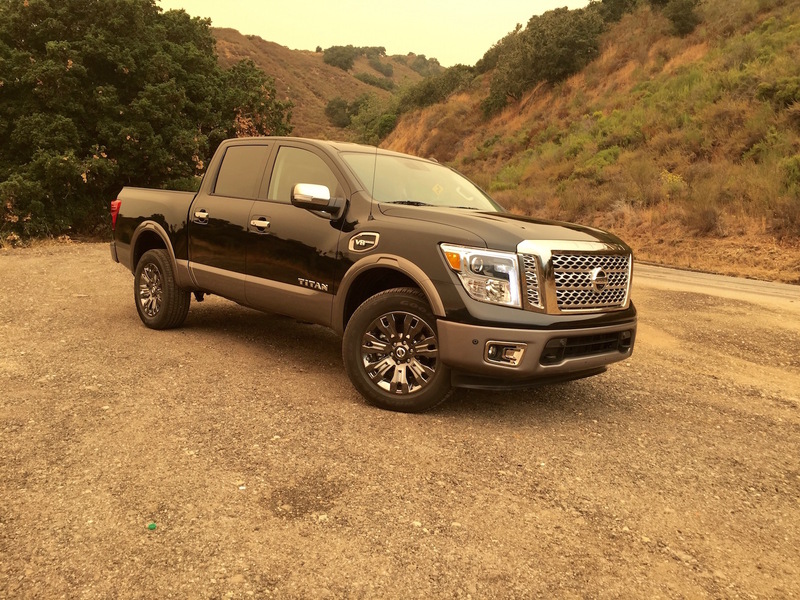 The line has now changed to, “If you can’t beat them, join them.” The 2017 Nissan Titan is cut very closely to the successful mold of an American pickup truck. 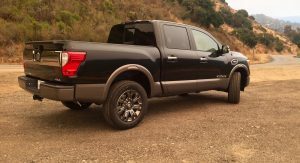 Is that a good thing when American pickup trucks are among the best they’ve ever been? 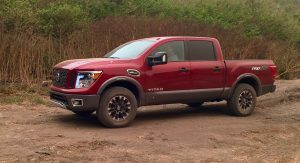 Despite its reduction in size over the Titan XD that debuted last year, the Titan half-ton models share a substantial resemblance, and therefore looks… like a truck. 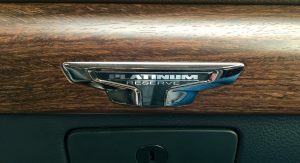 In an era where these enormous vehicles have more shiny accessories than a country club at Christmas, the Titan is somewhat restrained, except for the top-trim Platinum Reserve model with its enormous chromed tailgate. 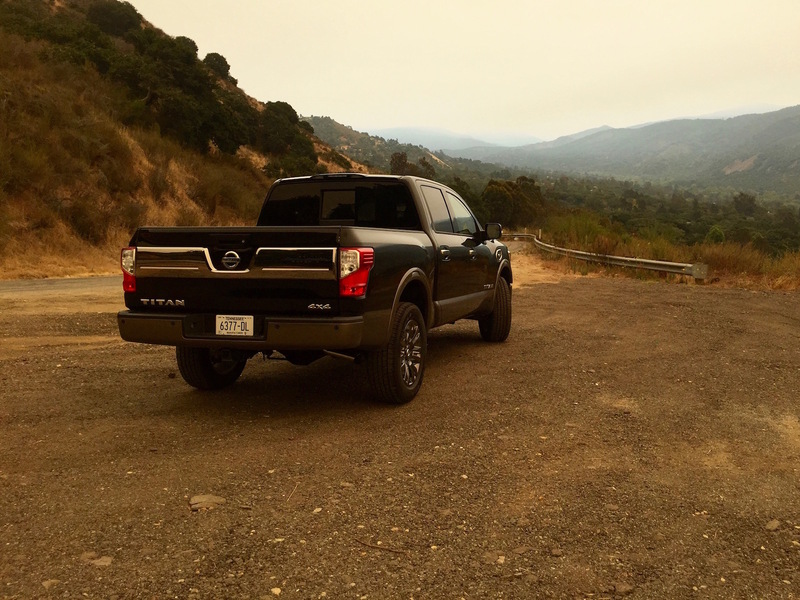 The Pro-4X models look especially rugged and outdoorsy. 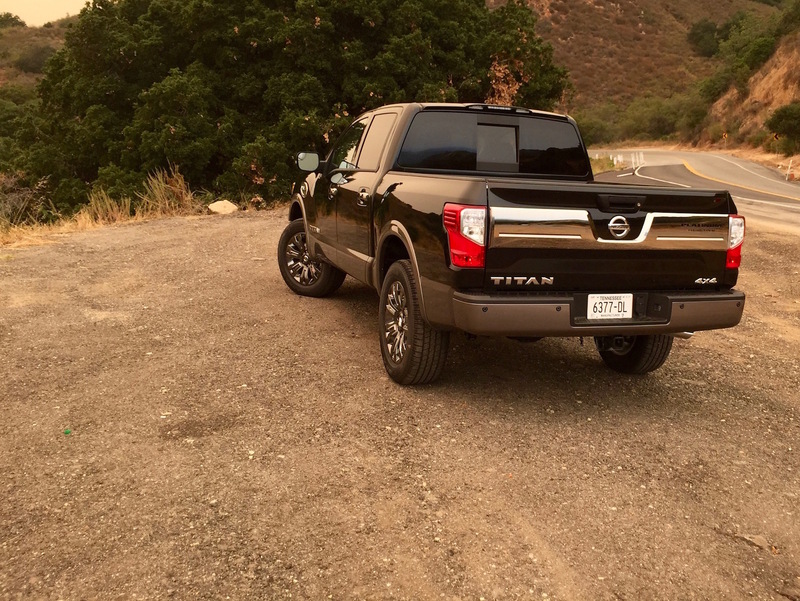 The Titan, like the Honda Ridgeline, hasn’t gotten far in life with a one-size-fits-all strategy. 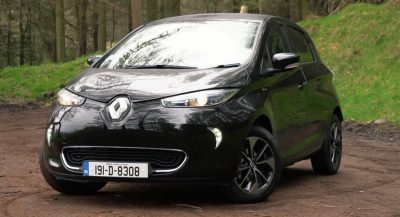 Therefore, Nissan is offering lots of permutations in the form of Crew Cabs, King Cabs and Single Cabs, various bed lengths, the option of a V8 turbodiesel on some models and a V6 that’s still to come. That’s not to say it’s bereft of clever touches. 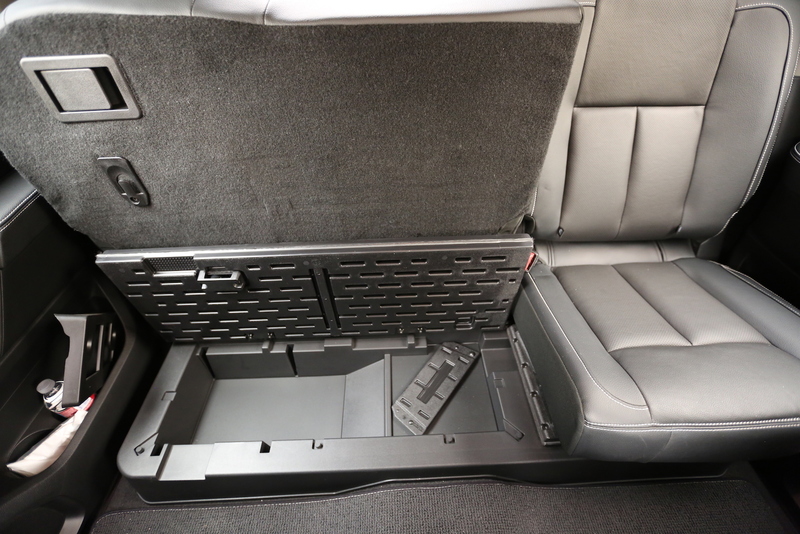 The Titan’s bed incorporates a number of features truck buyers have deemed useful over the years, such as a damped tailgate that allows for easy opening, built-in boxes, tie-downs and lights. 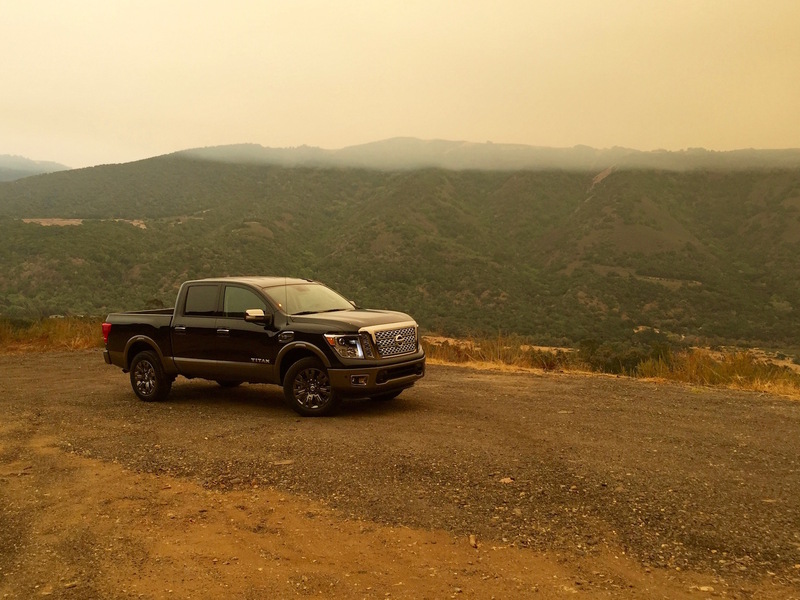 Having said this, Nissan has designed a truck that sticks closely to successful domestic designs, and the Titan has an air of familiarity about it in another way. 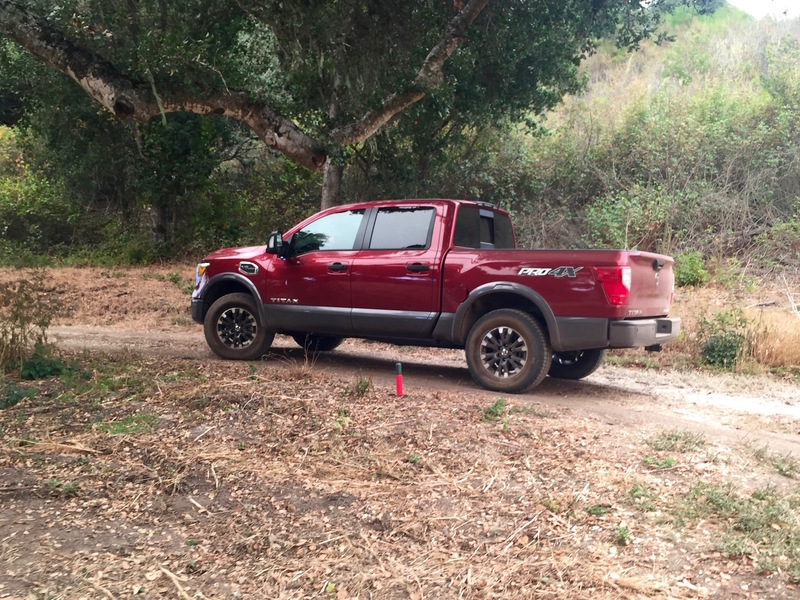 Think Ford F-150 from about a decade ago and you’ll start to see what I’m talking about. 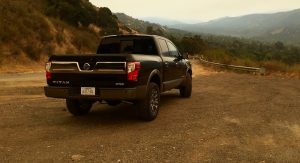 Consider Ford sold about 1 million F-150s a year back then and it may not be such a bad decision. 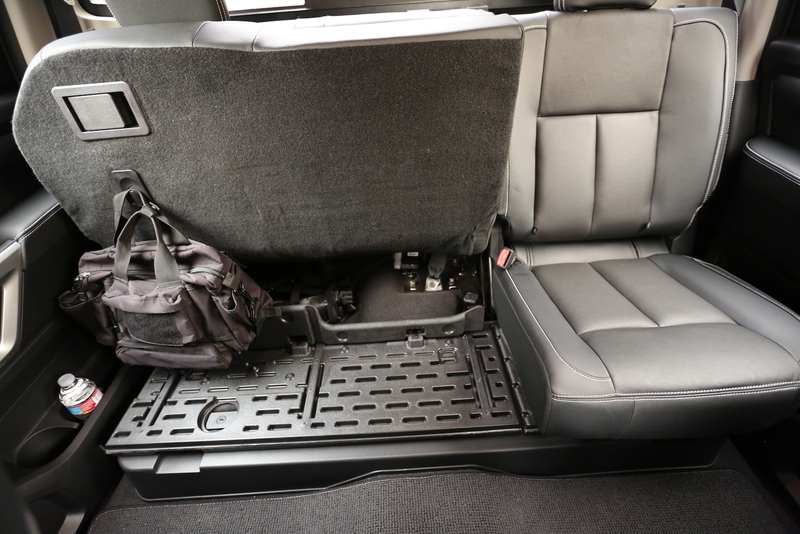 The no-nonsense design continues inside with the driver being presented a dash with all of the complexity of macaroni and cheese. 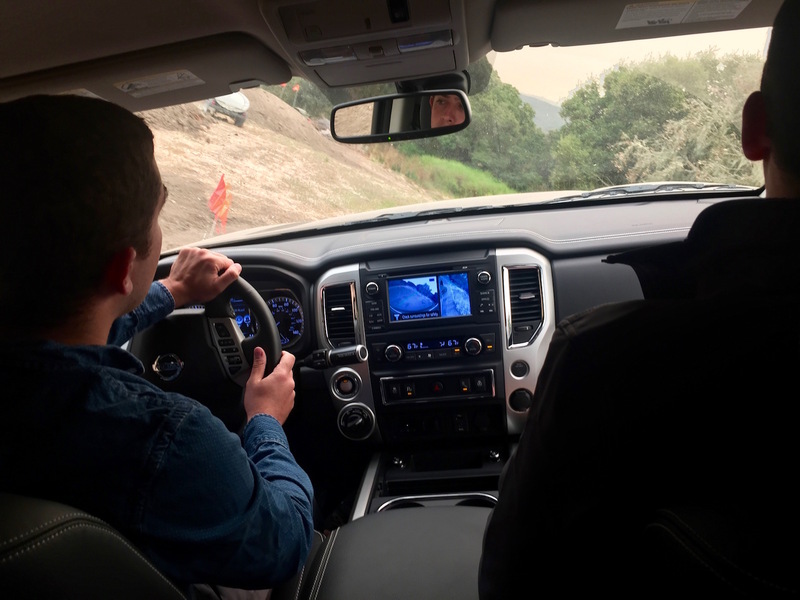 No massive LCD screens, no rotary dials to replace a big column shifter, no touch-capacitive buttons – the Titan is easy to use the moment you climb aboard. 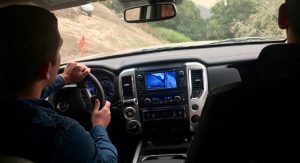 Which is all fine and good on the fleet-spec models, but probably less so if you’re looking for the surprising poshness of the most expensive trucks from other companies. 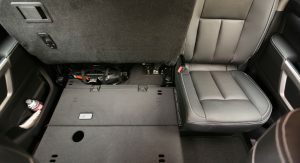 As is typical with new Nissans, the materials quality is somewhat underwhelming. 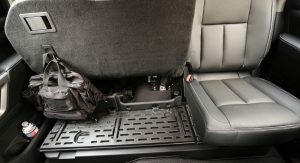 At least there are lots of places to put things. 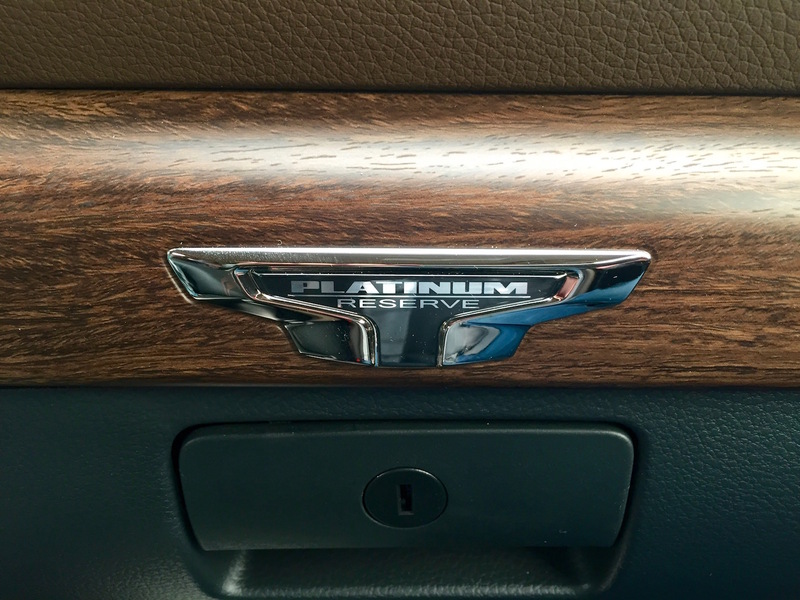 A generous center console is a given, but there are cupholders at nearly every corner. 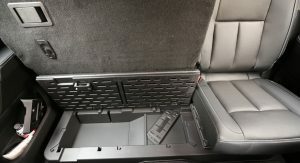 Under the rear bench seat, there are covered storage bins, too. 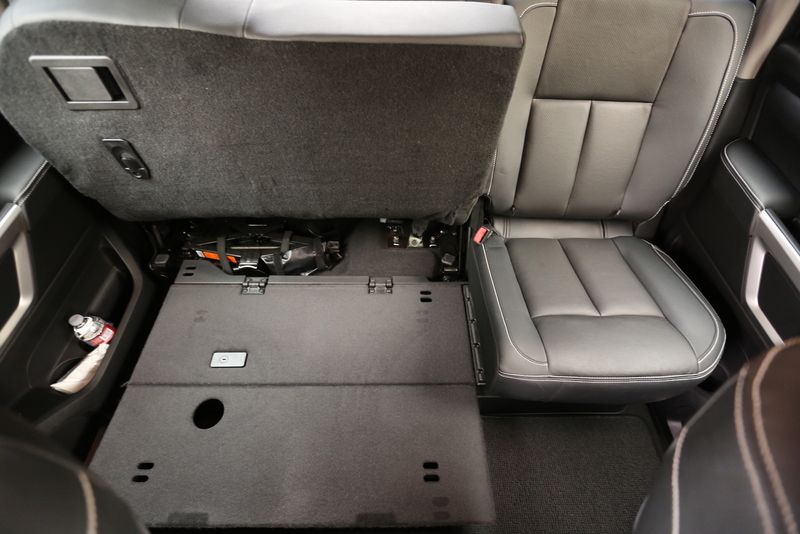 While not the enormous cab offered by the Ram 1500, the Titan Crew Cab is certainly accommodating for adults in the rear seat. 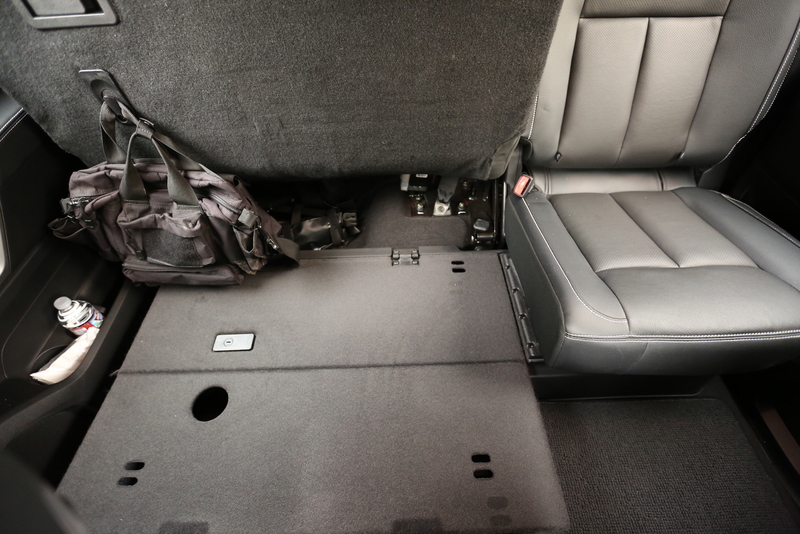 Even if the bottom cushion is a little short, the backrest is slightly reclined for comfort. It isn’t the poshest truck out there. But then with a name like “Titan,” it didn’t have to be. 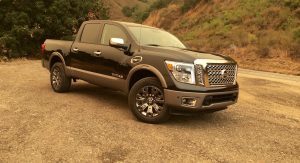 At a time when General Motors, Ford and FCA are touting the car-like qualities of their full-size pickups, Nissan, again, has doubled-down on traditional truckness. There are pluses to this. 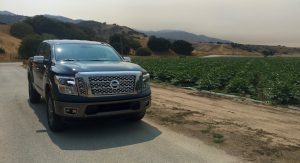 The 390-horse, 5.6-liter V8 engine, also found in the 2017 Armada, is gutsy and sounds great. 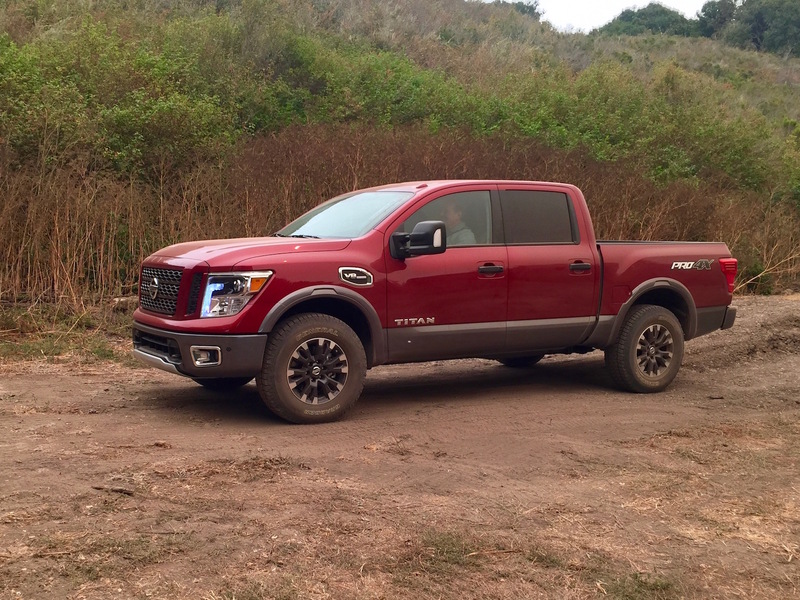 The Titan PRO-4X, a four-wheel drive-only off-road-oriented model, is also surprisingly competent over trails and dirt thanks to meaty tires, Bilstein shocks – with skid plates and a hill descent control thrown in for extra protection. 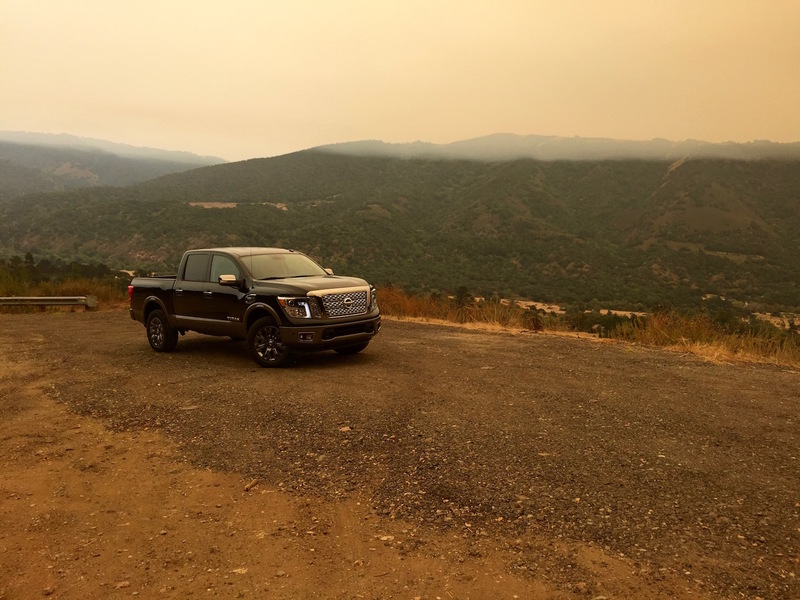 It’s not exactly a Raptor, but it does a pretty good job of going where few full-size truck buyers will take their vehicles. 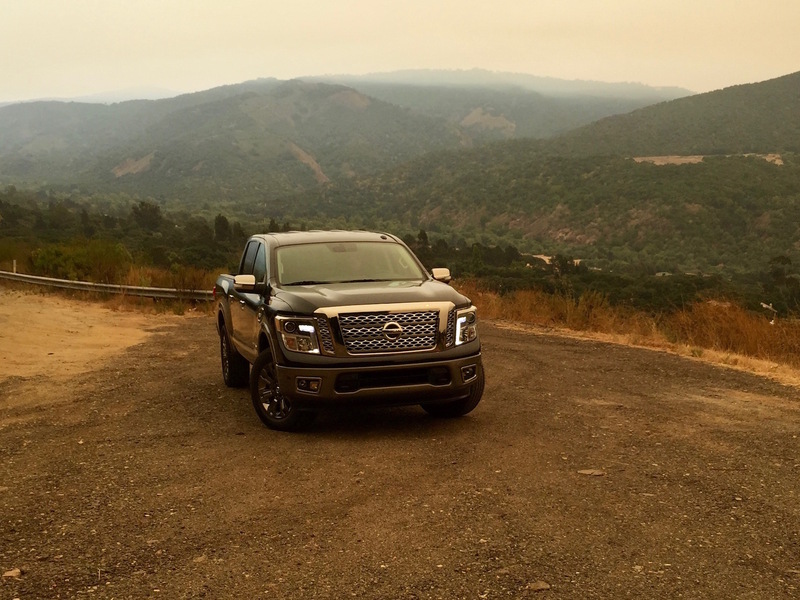 Nissan, however, likes to brag it can do it. 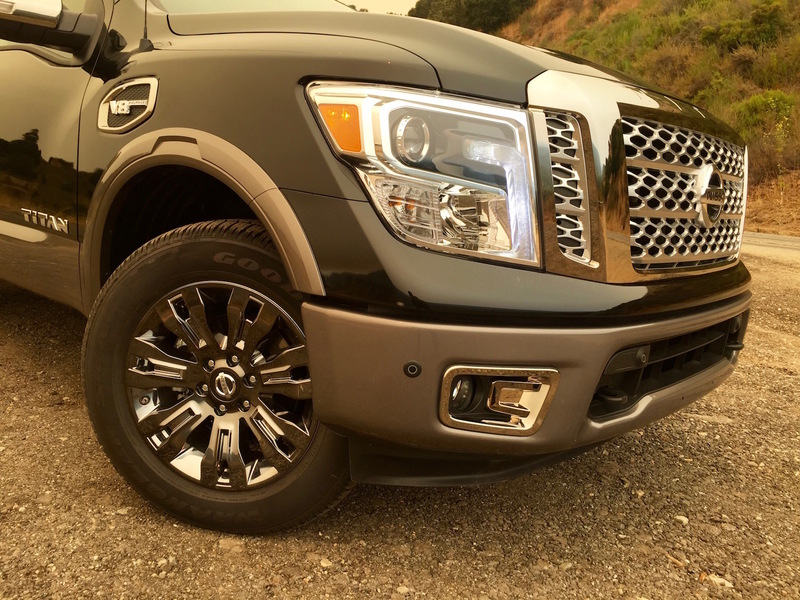 It also likes to brag about its towing capacities of late, and the Titan’s 9,390-pound rating on Crew Cab models is competitive, if not the most outlandish number in the class. 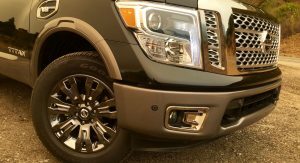 What the Titan doesn’t do, however, is make much attempt to hide the fact it’s a full-size truck. It is most certainly behind the times when it comes to ride and handling, lacking the finesse of the GMs or the coil-springed Ram. Those looking for active parking and other novelties (other than an around-view monitor) will be disappointed, too. 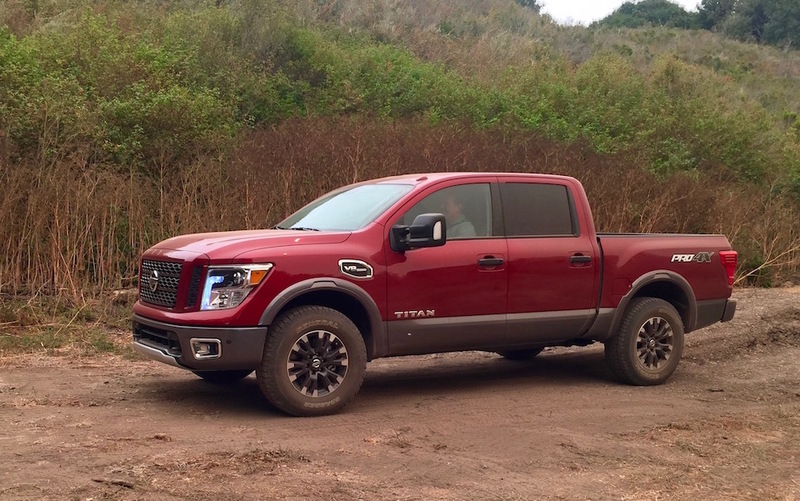 It’s not that the Titan is particularly bad to drive, but it won’t likely impress those who’ve become used to what the latest in pickup engineering has brought in the last decade. Those looking to reclaim lost masculinity, however, well… look no further. 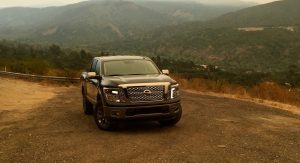 As with the Armada and Pathfinder that have also been recently announced, Nissan is trying to make a value proposition with this truck. 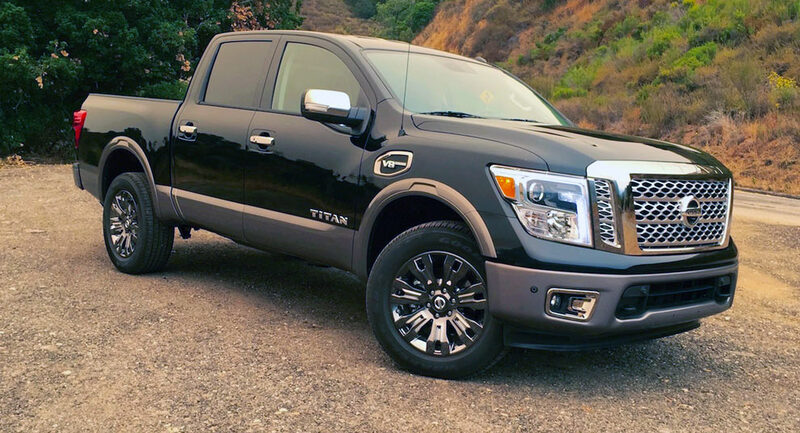 The 2017 Titan Crew Cab will start at $34,780 for the two-wheel drive S, rising to $55,400 for an all-singing-and-dancing Platinum Reserve 4×4. 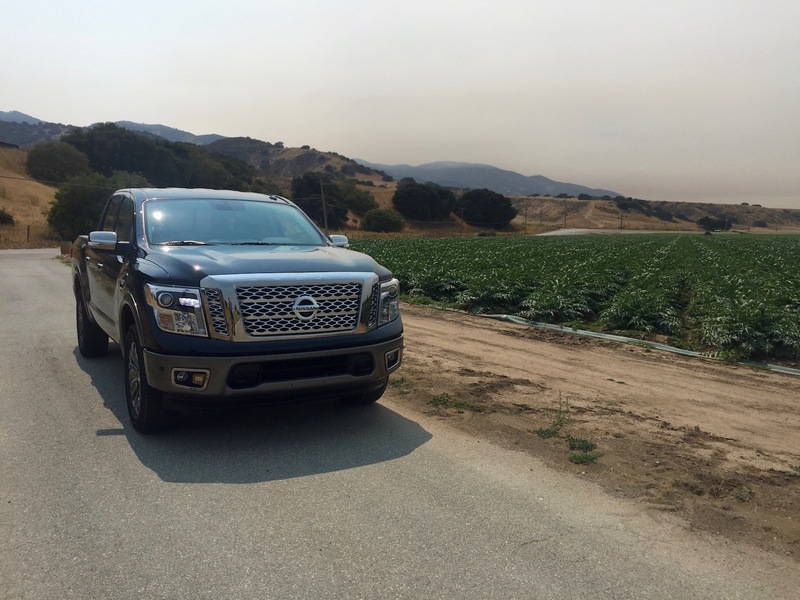 You get a lot of truck for your money, including a long 5-year/100,000-mile warranty that Nissan hopes will lure fleet buyers. 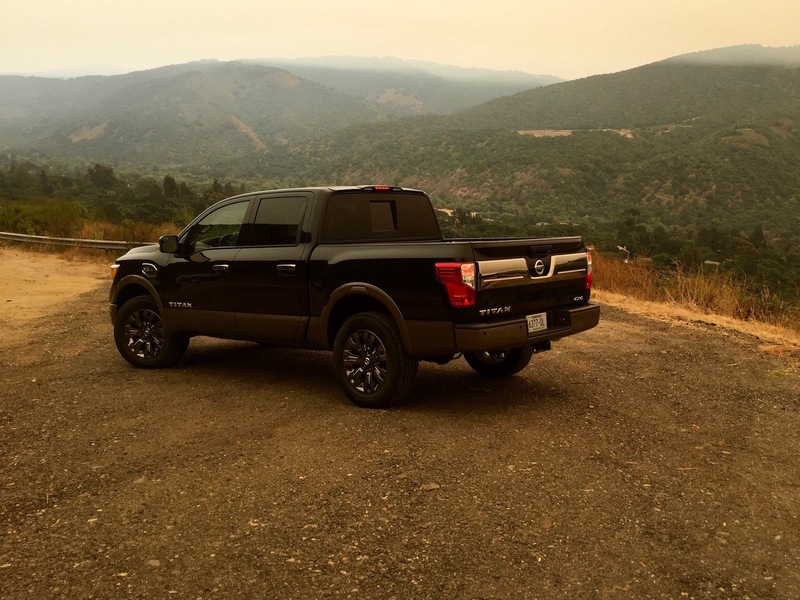 But are you getting the best truck out there? Probably not, since the Titan doesn’t do much ones from Chevy, GMC, Ford and Ram don’t. 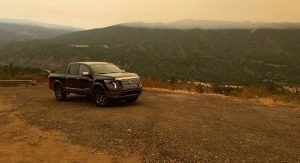 The difference this time is that Nissan has tapped into what truck buyers value most, and worked to perfect those attributes. 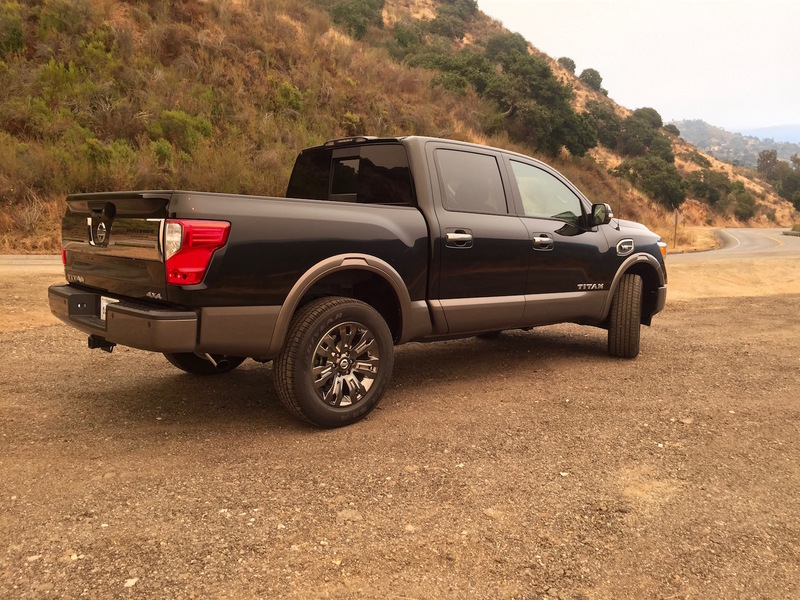 And, I think, better than the Chevy, too but don’t go by me, huge pickups aren’t my thing. 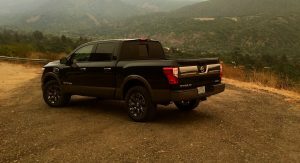 I’m actually more impressed with the Titan after reading this article. Go figure. You’re forgetting that the Titan in 2004 was the truck that shook up the styling of the big three traditional looking pickups. 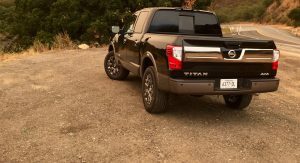 So in reality it’s the f150 that copied the Titan. 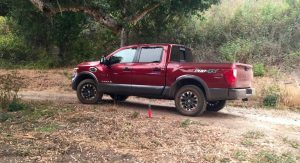 Also interestingly enough as I was driving my reliable 2008 Titan with a quarter mil kms I saw in one week a brand new RAM on a tow truck, and a new f150 being pushed. No recalls here. 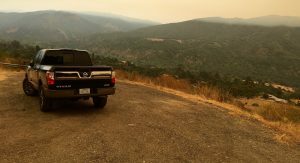 You can keep all the fancy do dad’s but I’ll stick with the truck I can count on. First of all, I liked the styling of the Titan in 2004. I didn’t so much like the fact that they kept it around for eleven years. 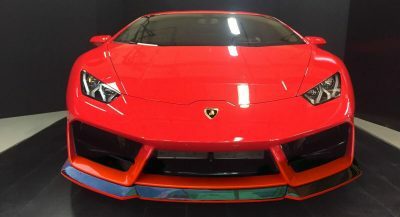 I feel it should’ve gotten a refresh around the year model you own. 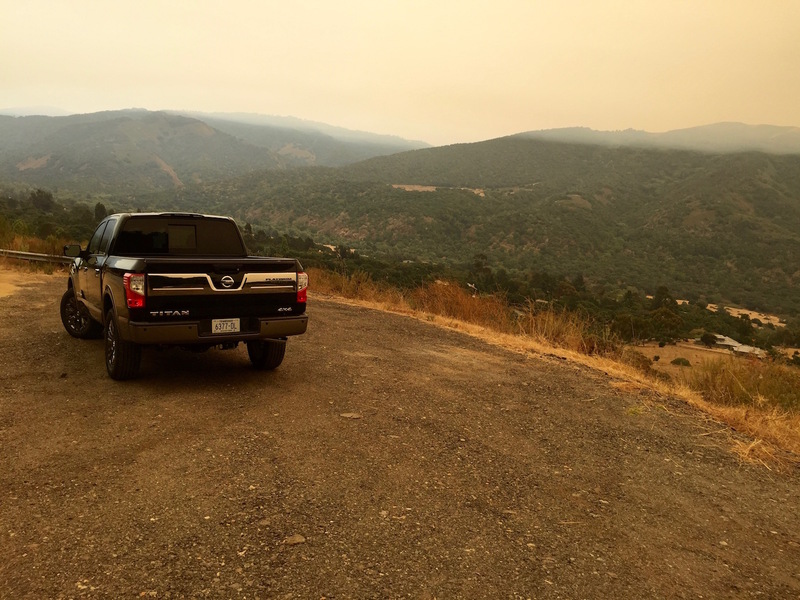 Having owned several of the old Nissan hardbody pickups, I have nothing but respect for their engines’ reliability and longevity. 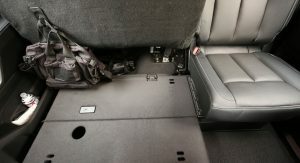 However, you might start to reconsider your powertrain argument with the second generation, as they’ll be utilizing Dodge’s gasoline engines (it’s got a 3.7, 4.7, 5.7 – a HEMI!, but the Cummins 5.0 is just for Nissan), as well as the platform, when assembled at Chrysler’s Mexico plant.